Two of the most well-respected basketball journalists today, Jackie MacMullan and Rafe Bartholomew, collaborated with award-winning director Dan Klores to tell the comprehensive story of the game of basketball in its many compelling dimensions. They have produced BASKETBALL: A Love Story, a groundbreaking work based on interviews with more than 170 of the greats of the game. The interviews were conducted by Klores and his team of producers for a mulit-part ESPN Films series to be released this fall, and they include legendary players such as Bill Russell, Kobe Bryant, LeBron James, and Magic Johnson; renowned coaches such as Phil Jackson and Coach K, Mike Krzyzewski; and numerous executives, commissioners, and journalists. MacMullan, who has covered basketball for more than three decades for the Boston Globe and ESPN, and Bartholomew, the author of Pacific Rims and who was the features editor at Grantland whose work has appeared in the New York Times, combed through nearly a thousand hours of conversations to shape the stories into what may become one of the most important basketball books ever written. 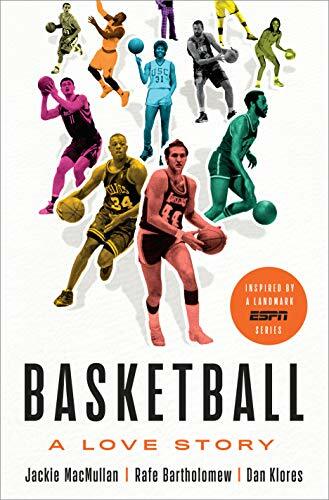 With a narrative that is raw and intimate, this engrossing portrait weaves together diverse tales of basketball's remarkable rise from humble roots and sheds light on how it grew rapidly, transforming our understanding of the game. The voices of the athletes, coaches, executives, and journalists who helped build basketball into a global game are allowed to speak for themselves, with MacMullen and Batholomew injecting prose to provide richer context for these compelling stories from those who have given their lives to the game. It is the tale of a Canadian invention that took over America, and eventually the world. A supposed “white man’s sport” became a way for people of color, women, and immigrants to claim a new place in society. It is a game that demands everything of those who love it, yet gives so much back in return. Some of the rich stories include: Shaquille O'Neal's emotional account of a racist high school indignity and his rim-bending response; Ann Meyers's recollection of being the first woman to try out for an NBA team in 1979; the schism between legendary coaches Pat Summitt and Geno Auriemma and why their schools, Tennessee and UConn do not play each other anymore; an insider's look at the controversial finish to the 1972 Olympic gold medal game between Team USA and the USSR; the real story behind Michael Jordan's feud with George Gervin in 1985; revealing new insights from Pat Riley and David Stern on the career of LeBron James; and how a dashing New Yorker, Frank McGuire, built a legendary basketball program at the University of North Carolina. BASKETBALL: A Love Story is an oral history of the game that feels like you are part of a conversation among the greats, such as these recollections on First Loves, which the authors write is, "The connective tissue that binds everyone who's ever devoted a part of his or her life to the sport of basketball." LeBron James, forward, Los Angeles Lakers: "When I was four, five years old, I started playing on a crate. We cut the bottom out, nailed it to the light pole, me and my friends. No backboard, so every shot had to go straight in or you didn't make it. And I remember that joy - playing on the street, cars interrupting our game, the ball going into the woods. Playing basketball, it did something to me." Kobe Bryant in 2013. Photo by Jason Schott. Kobe Bryant, shooting guard, Los Angeles Lakers, 2008 NBA MVP, five-time world champion: "I have a basketball family - my father played in the NBA, my uncle played in the NBA, my grandma played, my sisters played, my cousins played - and so when I picked the ball up I literally could not stop. I was instantly attracted, almost like I was born to play." Cheryl Miller, NBA broadcaster, TNT; 2-time NCAA champion; 1984 Olympic gold medalist: "I just knew there was something bigger and greater out there for me through basketball. It wasn't until 1976 - I remember seeing highlights of the Women's Olympic team, and for the first time in my life I identified with other female basketball players. That's when that internal clock of something bigger and better out there for me began to tick. And it's been the driving force for me ever since." Kevin Durant, forward, Golden State Warriors: "My mom took me to a rec center and I walked into the gym, and it was like the gates of heaven opened up. I just jumped in. I don't even remember after that. Everything was so smooth and effortless - I didn't wanna leave. It felt like years were rolling past as I was playing and that's how I could tell, this is something I want to do every chance I get." 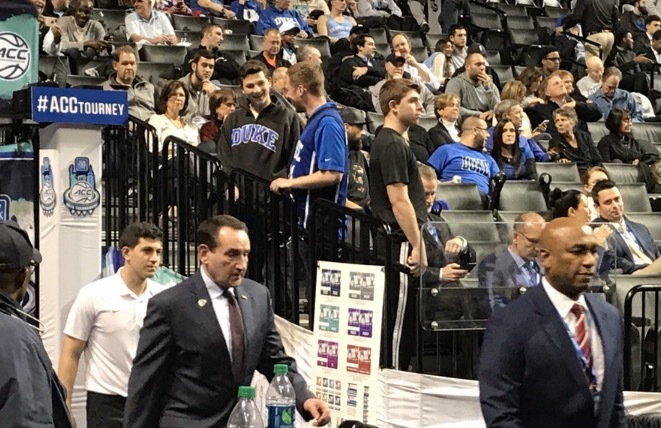 Coach K at the ACC Tournament this past March. Photo by Jason Schott. 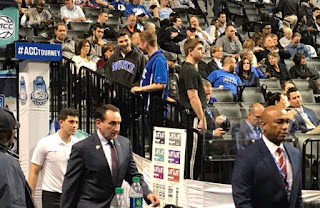 Mike Krzyzewski, "Coach K," Head Coach Duke University and USA Men's National Team: I knew when I was a teenager that basketball was my friend. I could take my ball and go to the playground and I didn't need anybody else. I could imagine. I could mimic. I could feel myself doing something that maybe I would never do in reality, but in my imagination, on that court, that was my friend. And it's been my friend for over 50 years." Stephen Curry, point guard, Golden State Warriors: "When I was five, my dad signed me up for the rec league in Charlotte, and it was my first time playing organized basketball. I loved to play on our Fisher Price goals around the house and all that, but to play organized basketball, suitin' up with your jersey - I think I made one good pass and the family went crazy in the stands." Shaquille O'Neal, center, Los Angeles Lakers, Miami Heat, Orlando Magic, Phoenix Suns, Cleveland Cavaliers, Boston Celtics: "First time, It was a movie called The Fish That Saved Pittsburgh. Dr. J [was] in the movie, did great things with the basketball but I didn't know he was a real person. So my father said, 'Come on,' ad [we] jumped on the train to Madison Square Garden. I'm sitting there like, 'That's the guy from the movie!' Then he goes baseline, throws it down, the crowd goes crazy. I look at my dad, I said, 'That's what I want to be when I grow up.'" Yao Ming, center, Houston Rockets, 8-time NBA All-Star: "Around 17 or 18 years old, I felt those sounds: the shoes on the ground; the ball went in and scratch on the net; the ball pounding on the floor; the bodies physically hitting each other. 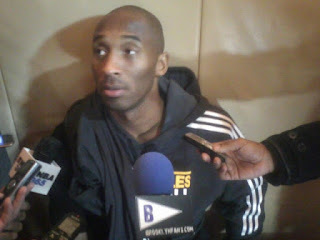 That kind of sound really attracted me, and that's how I started loving basketball." BASKETBALL: A Love Story, which shares its title with the upcoming ESPN Films series, surpasses other compilations in terms of its volume and depth that will make you appreciate basketball more than you ever have before.